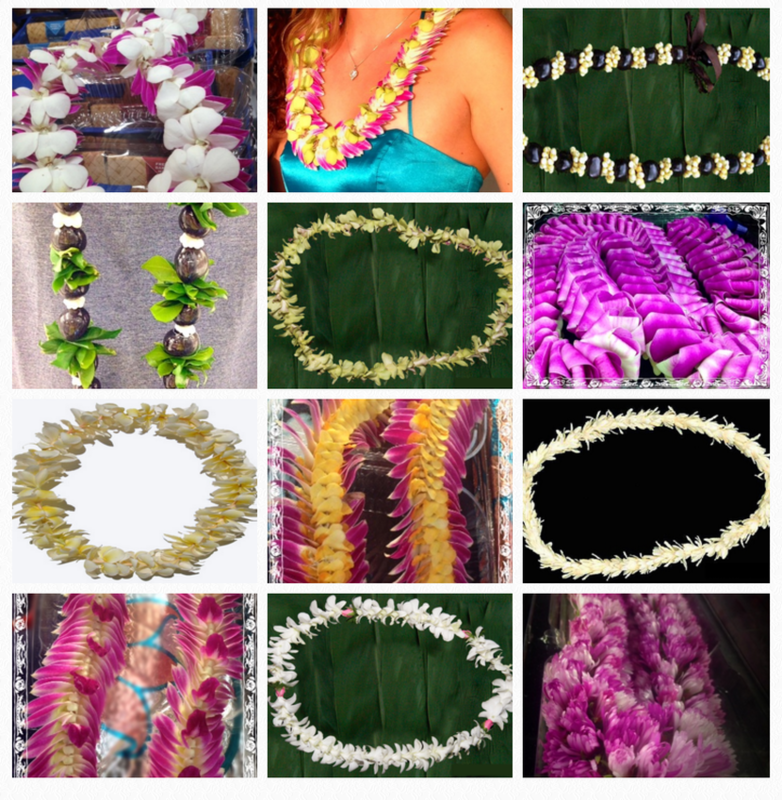 Any of the below leis are included in your package. 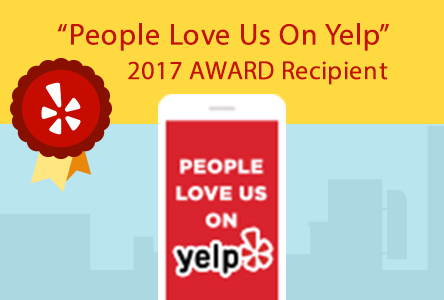 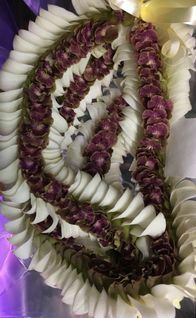 Please note that we can also make you something not pictured to complement your bouquet, or, we can make your bouquet complement whatever you choose for your lei. 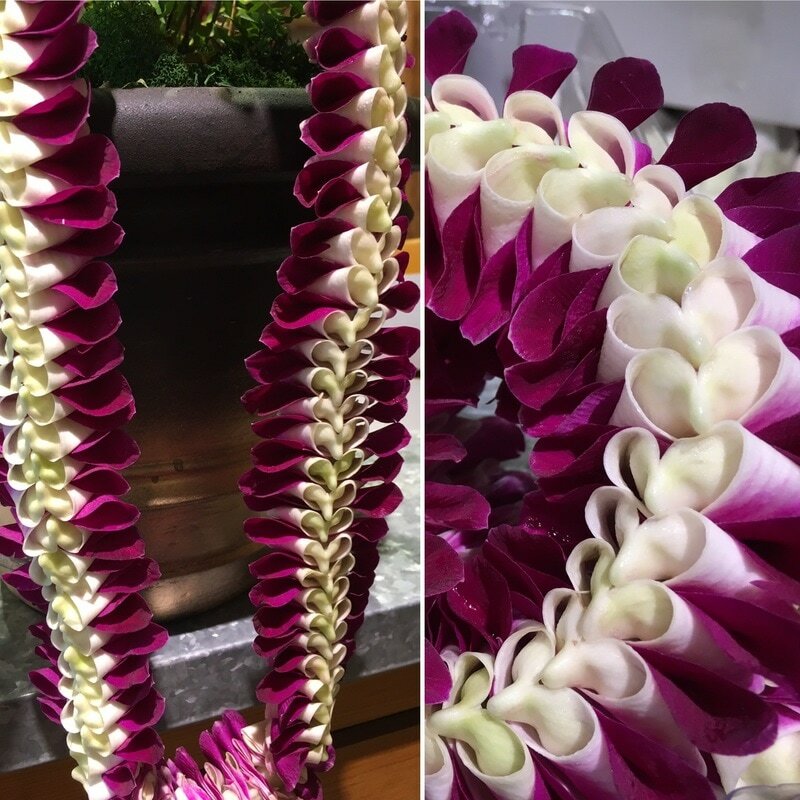 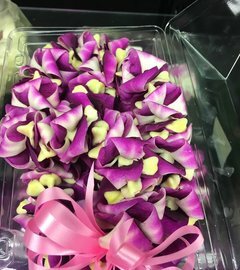 Single and double strand orchid leis are also available in purple, lavender and white (or any combo there of), as are single and double strand plumeria leis in white/yellow, yellow/white, pale pink, dark pink, or red. 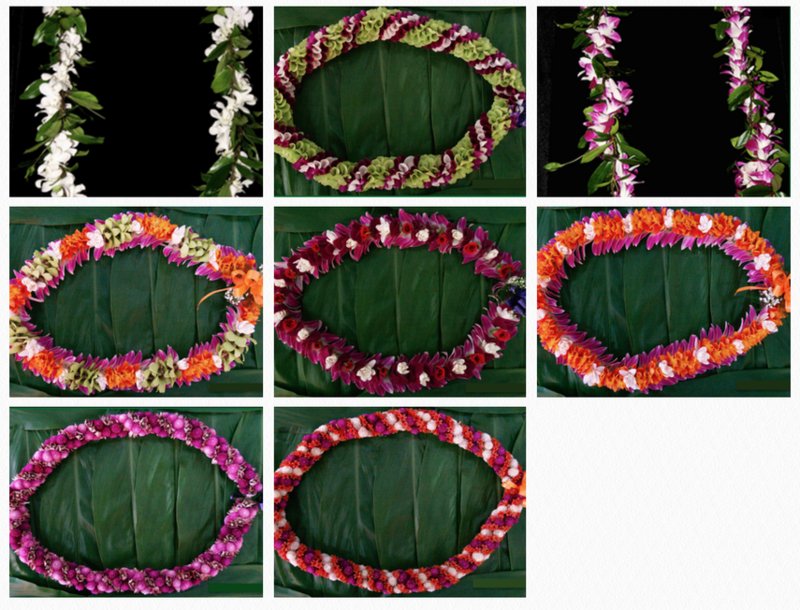 Color combinations and orchid/plumeria combinations of the above are also available. 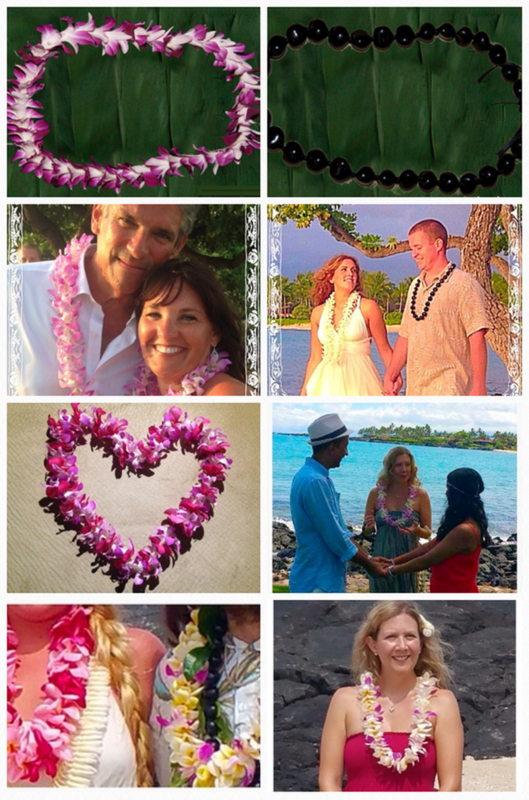 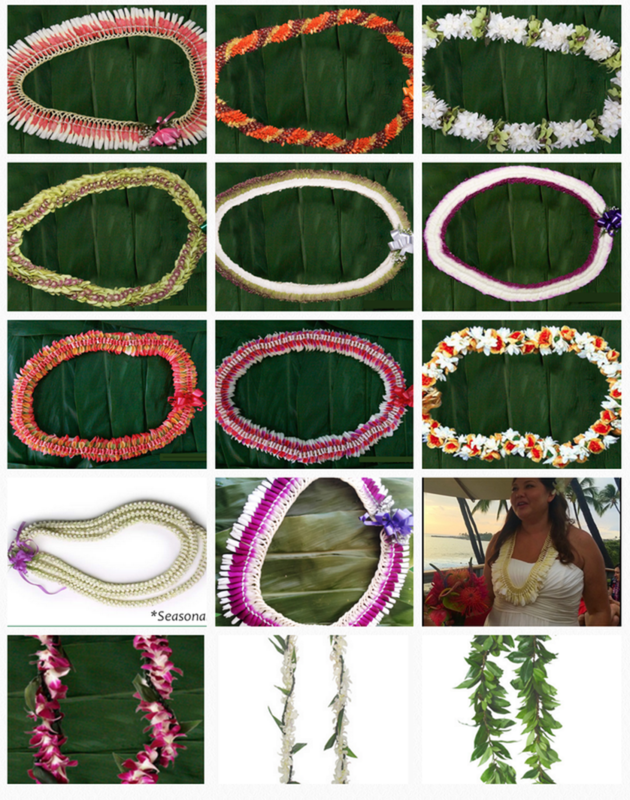 Any of the below leis in the below section are available for your guests or wedding party members at a price of $15 each (plus the 4.4386% HI GET and (if applicable) a credit card convenience fee).